Love is not having someone give you the world. Love is creating a whole new world together. One person – and one couple – at a time. 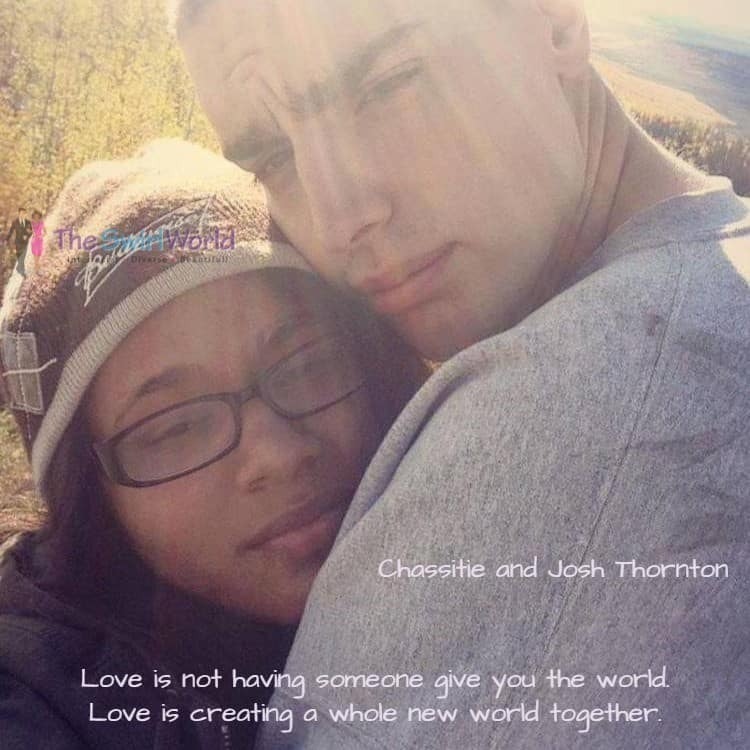 Today’s featured models are Chassitie and Josh Thornton. 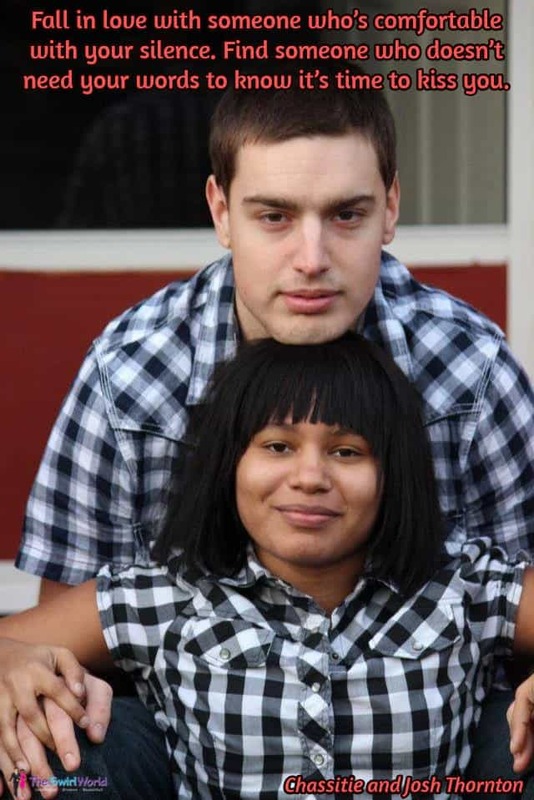 To read their interesting love story (HINT:They met on a dating site! ), click here. #365| I Hope You Dance! We’re on the threshold of a brand New Year. It’s less than 24 hours away! Whatever you decide to do in 2016, I hope you dance! 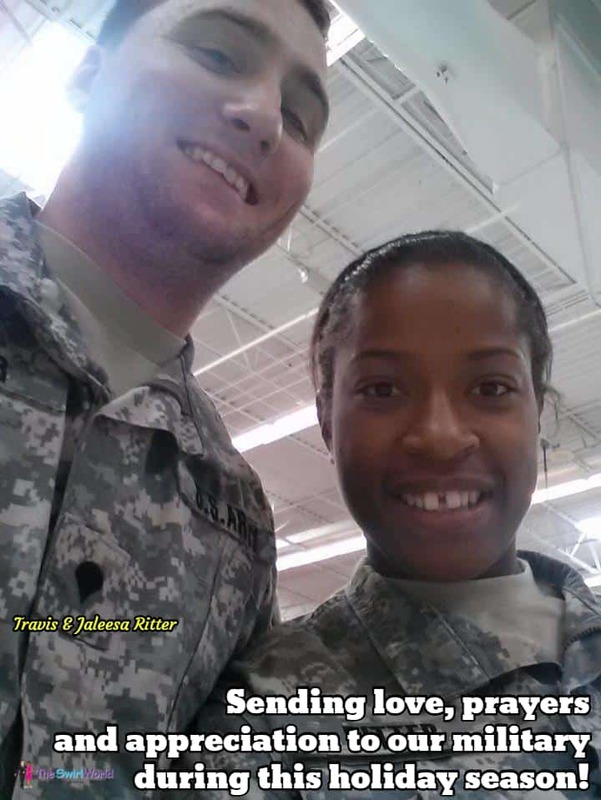 Today’s featured couple is William and Lashana Howell. 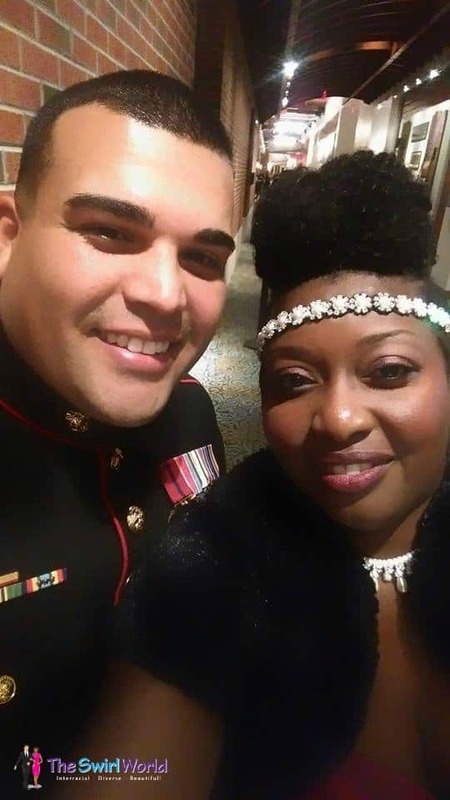 Lashana was in the Army for 10 years and William is still enlisted, and has been for almost 22 years. They’ve been dancing through all their years of marriage and look forward to many, many more. 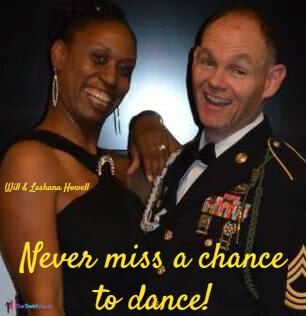 Keep dancing, William and Lashana – and thank you for your service! 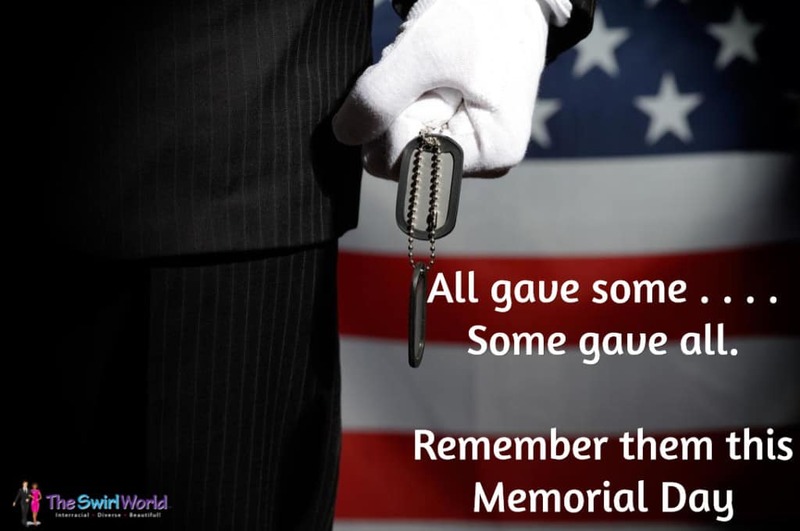 We appreciate the sacrifices made by our military personnel. Sending you love and prayers during this holiday season! Whatever is on the inside of you will spill over into the outside. And because happiness is an inside job, the happiness you experience isn’t predicated on what’s going on around you. Start from the inside out. 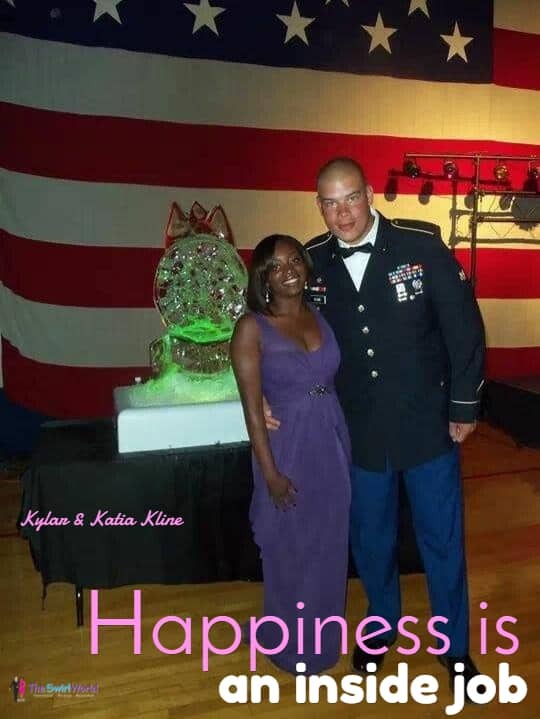 To read more about today’s featured couple, Kylar and Katia Kline, click here. For as long as I can remember I’ve also wanted to know what the world looked like outside my Chicago neighborhood. I recall thumbing through the set of encyclopedias (that I had begged my mother to buy) and collecting old National Geographic magazines that the librarian had trashed. To me these items were priceless. They provided me an escape, a glimpse into places that until then I had only heard mentioned on TV or in school. Places that I wanted to visit and experience. It never dawned on me that the people who were sharing their stories of traveling to these foreign lands didn’t look like me I was too wrapped in the words they used to describe their experiences to notice. I just wanted to be there, somewhere, anywhere besides where I was. As the years went by my childhood dream of traveling to see the world never faded but they dropped down on my bucket list until 1997, when my then-husband who was serving in the United States Air Force was assigned to Izmir, Turkey. It was then that the opportunity to fulfill that childhood dream had presented itself. While living in Turkey for three years I traveled to the following countries; Germany, Switzerland, Greece, France, UK and Belgium. After leaving Turkey and returning to the U.S., I hadn’t completely satisfied my appetite for traveling and living abroad. Once again I had to let they dream slide down the priority list while adjusting to life as a single parent and raising my daughters. Flash forward 15 years to 2013 and I’m 40 years old, an empty nester, both daughters in college and living on their own, and I’m climbing the corporate ladder in a career that I love. I had been with my current employer for 11 months when I was promoted to a management position in Athens, Greece. After discussing the opportunity with my daughters I graciously accepted and packed my bags for my new home in Athens, Greece. And what a beautiful home it was! 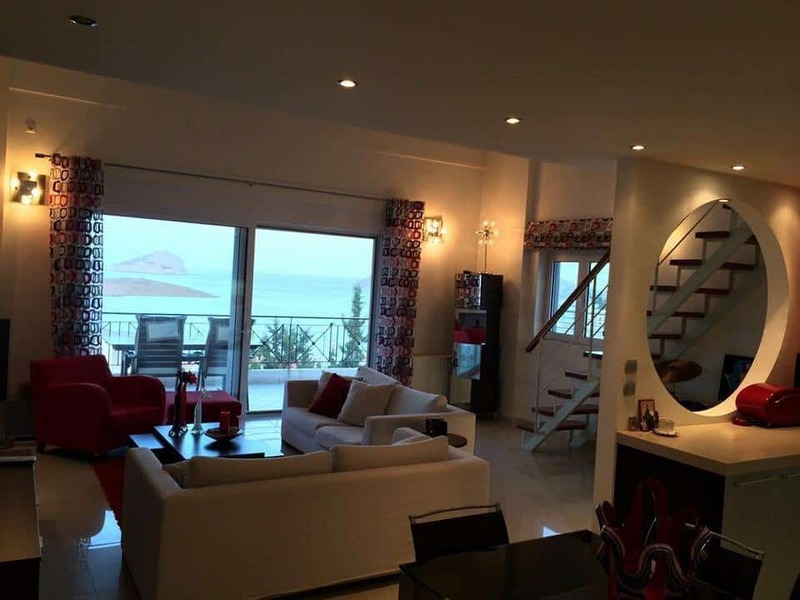 I rented a penthouse apartment in a beach community called Porto Rafti, just steps away from the beach and about a 20-minute drive outside of Athens where I worked. 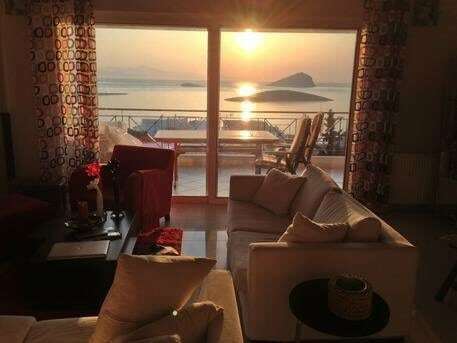 I would sit out on my patio with a glass of wine and take in the most amazing views of the Aegean Sea and breathtaking sunrises. I shopped at the local farmers market and grocery store that was just a 10-minute drive from my apartment. Next door to the market was a flower shop owned by an older gentleman. Every time he saw me at the market he would bring me a bouquet of flowers and talk to me in Greek (which I hadn’t yet mastered). The locals were very welcoming. My neighbors living in the apartment downstairs were both retired educators who spoke 11 languages between the two of them. When the wife (Mina) would hear me come home from work in the evenings, she would call out to me as I was getting off the elevator to let me know that she had cooked dinner and that there was plenty for me. When they insisted I joined them they made me feel like I was a member of their family. We would talk for hours – and just let me say that the Greeks know how to entertain! What would start as a quiet dinner for 3 at 8 o’clock would easily turn into a neighborhood gathering by 10 o’clock. I can still hear the joyous conversations with music and laughter in the background. Touring the city was more than just taking in the sights, it was an interactive history lesson that I couldn’t get enough of. 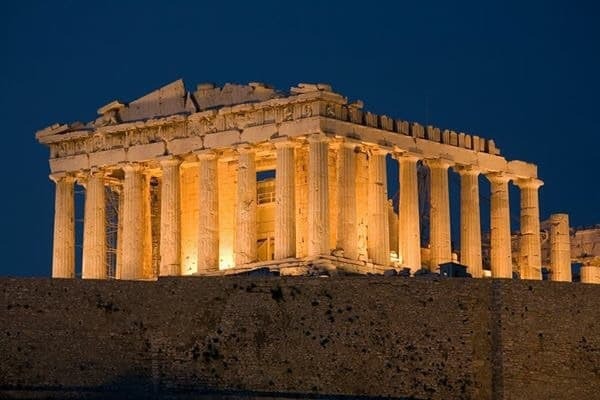 Events in history that up until then I had only read about, became real, and I found myself standing at the Temple of Olympian Zeus, at Syntagma Square or the temple of Parthenon and so much more. I have what I call two tours under my belt and I’m not even close to being done. Living abroad has presented me with so many life experiences that I will never forget. I’ve met some of the kindest people, forged some amazing lifelong friendships and learned some of life’s most valuable lessons. I recommend stepping outside of your corner of the world – you just might like it! 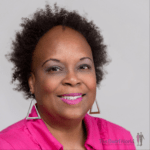 Rachel Robinson is a Human Resources executive whose job requires extensive travel. She will be featured in an upcoming podcast. This is Rachel’s first travel blog for The Swirl World – stay tuned for more! 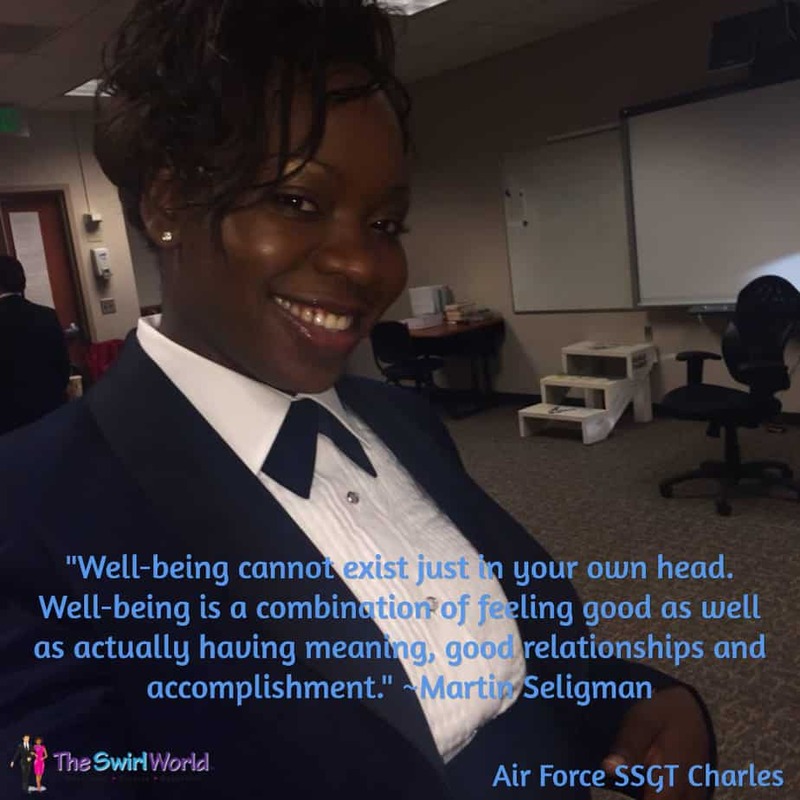 Copyright ©2015 Michelle Matthews Calloway, ASwirlGirl™, The Swirl World™, The Swirl World Podcast™, The Swirl World Inspiration Daily™, Swirl Nation™, All rights reserved. Photos used with permission. I Love Traveling With My Spanish Marine! In keeping with our Travel Thursday theme, Podcast Episode 85 features a conversation with Dawn Sanchez, who travels the world with her husband Pedro. Dawn is a Zumba instructor and ordained minister. 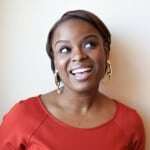 She’s also the author of Call To Duty, a book written to uplift and encourage military spouses. I hope you enjoy her take on “the myth of the language barrier” and her and Pedro’s beautiful love story. Talk To Amber is the place on the web for bloggers and entrepreneurs who want to step up their public speaking game. I love tuning in to Amber on Periscope – you can find her there and at other places on the web at @TalkToAmber. Copyright © 2015 Michelle Matthews Calloway, ASwirlGirl™, The Swirl World™, The Swirl World Podcast™, Swirl Nation™, All rights reserved. Photos used with permission. It’s the end of the week, and hopefully it’s time for you to wind down and get ready for the weekend. As you review your week, what did you accomplish? Are you now enjoying the fruit of productivity – or are you experiencing frustration because you fell behind on your tasks and goals? If you feel like you had a “bad week,” think of at least one thing that you did well – at least one thing you did correctly. Focus on that one thing and make a conscious decision not to beat yourself up over whatever went wrong. Focusing on the positive will help you to get centered and reestablish a good sense of well-being. Whatever happened (or didn’t happen), you can recover – you will recover. There’s always next week to get back on track, right?